California State University is now offering segregated housing for black students — by demand of the Black Student Union. The call for “safe space” housing came approximately nine months ago in an aggressive letter published to the Afrikan Black Coalition website — which among their fourteen demands, included millions of dollars for endowments and the Black Student Union itself. “WE DEMAND $20,000.00 dollars per quarter allocated to the Black Student Union, an organization necessary for Black student development. The Black Student Union is one of the largest student organizations; yet, there is currently no operating budget,” the statement read. “WE DEMAND a $30 million dollar endowment to help support Black students financially, akin to the initiative that is being implemented at UC Berkeley. Many Black students must work 2-3 jobs in order to pay for the continually rising cost of education,” it continued. The demands also included forcing all students, no matter their majors, to be forced to complete a minimum of two ethnic studies courses, with one being a Pan African Studies course, as a graduation requirement. “WE DEMAND the creation and financial support of a CSLA housing space delegated for Black students and a full time Resident Director who can cater to the needs of Black students. Many Black CSLA students cannot afford to live in Alhambra or the surrounding area with the high prices of rent. A CSLA housing space delegated for Black students would provide a cheaper alternative housing solution for Black students. 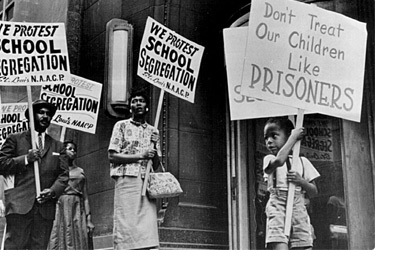 This space would also serve as a safe space for Black CSLA students to congregate, connect, and learn from each other,” the demand for segregation asserted. Cal State LA is not the first school to offer segregated housing instead of encouraging students to meet and interact with those who hold different life experiences and views. It is also offered at the University of Connecticut, UC Davis, and Berkeley. One can’t help but wonder if these students realize they appear to be self imposing their own version of the Jim Crow laws which mandated strict segregation of the races. Segregation that pioneers like Rosa Parks fought so hard to end.